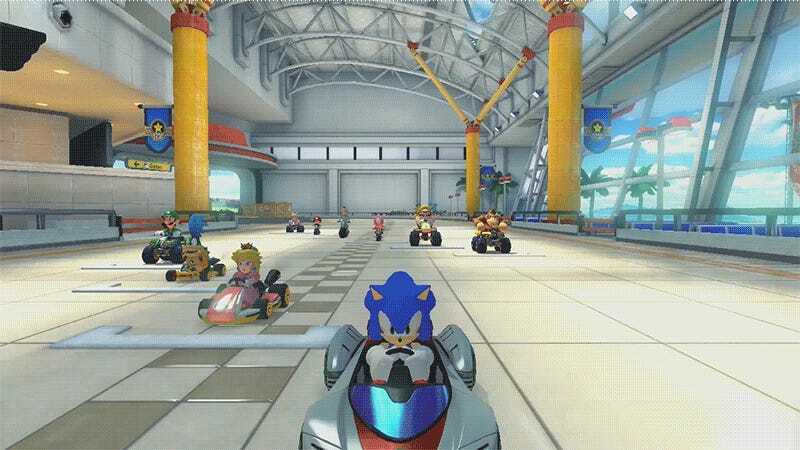 Between his inclusion in Smash Bros. and his own kart racing title, Sonic fits into Mario Kart 8 like a puffy white glove. Modder CorBond57 makes it happen by swapping the hedgehog’s model with Mario’s. He looks like Sonic, he drives like Sonic, but he sounds like Metal Mario. That’s because CorBond57's work-in-progress mod overlay’s Mario’s model in the Wii U version of Mario Kart 8 with Sonic, and since Metal Mario and flesh and blood Mario share the same shape, the erinaceid fits. Check him out in the video below. If not for the sound and a few flaws still being ironed out, you could barely tell it was a mod and not a real thing.